Salentein Bodegas were pioneers of the Uco valley of Argentina and have 15 vintages under their belt. 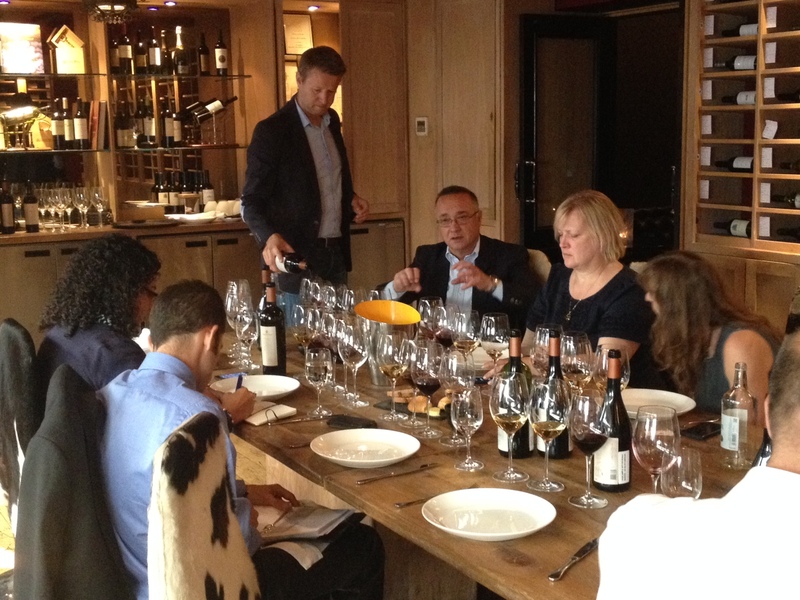 Chief winemaker José Galante previously of Catena Zapata presented their premium range of wines produced from the bodegas’ three different vineyards, each at different altitudes. San Paulo the highest at 1600m plus producing pinot and chardonnay, La Pampa at 1200 to 1400m and El Oasis at around 1000m. Irrigated with mineral water off the mountain! Chardonnay Plot no. 2. 2012. Single vineyard from San Paulo raised in french oak. Restrained nose , some ripe peach and a hint of toast. In the mouth apricots, peaches ripe fruit, luscious mouth feel, a little citrus and some secondary oak. Quite long. great balance medium full bodied. good acidity. A blend selecting the best from different vineyards also raised in new french oak for 9 months. On the nose more perfumed with peach & a touch of vanilla. In the mouth intense ripe exotic fruit more vanilla, nice freshness, very long and persistent. High alcohol but great balance, full bodied. Vinification starts with 10 to 15 days of cool maceration and to keep the fruit fresh oxygen is carefully excluded. Aged 9 months in barrels with only 10% new oak. On the nose strawbery chew, sweet fruit, clean bright fruit, a touch herbaceous. On the palate again red fruit, some cooked fruit, baked tart, herbs, long persistent. medium body, med to high acidity high alcohol but balanced. Numina Cabernet Franc 2011 Spirit Vineyard. Lovely delicate raspberry perfume, persistent bit of ripe capsicum . In the mouth again sweet soft red fruit, savoury notes, very long land great freshness. Fantastic. Single vineyard with sandy soil. Slightly closed nose, then black fruit a touch of blackcurrant & some baked tart. On the palate: blueberries, blueberry pie, nice freshness and length. Again a blend of the best from largely stoney ground giving more body and power. On the nose cocoa powder, sweet ripe blackberry, some spicey woody notes. The same in the mouth with very ripe soft tannins very full bodied, very long, really outstanding. On the nose black fruit, cocoa powder, coconut, toast complex and lush. Lovely full bodied, luscious ripe blackberries, a complex fruit compote topped with coconut & cocoa powder, this is a pudding in its self. A rich delicious power house of a wine. 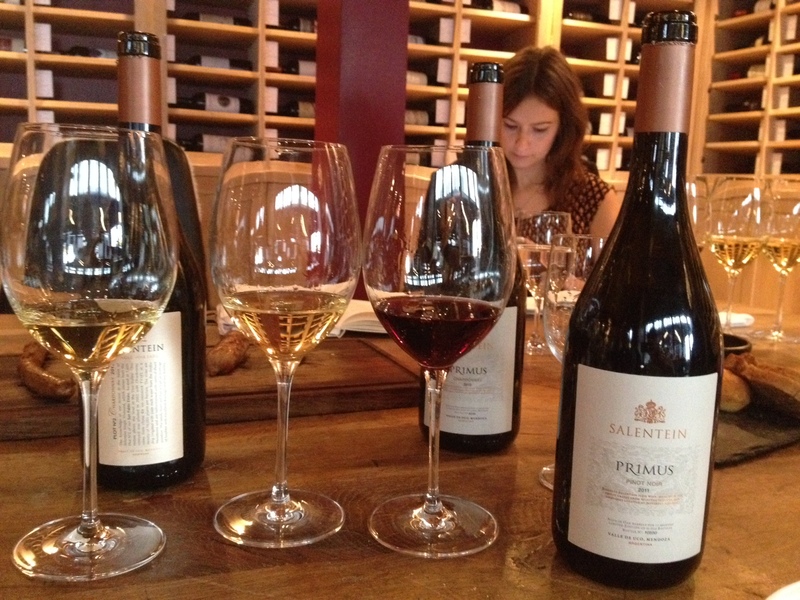 In summary the single vineyard wines are more restrained and probably appeal to those with an old world bias, whereas the Primus ‘blends of the best’ are unapologetic celebrations of ripe fruit & textural richness. Though I loved the Malbec Primus the Numina Cabernet Franc was probably the wine of the tasting for me, embodying the old world qualities of freshness, elegance & structure with the pure fruit clarity of the new. Categories: news, tasting notes | Tags: Argentina, malbec | Permalink.